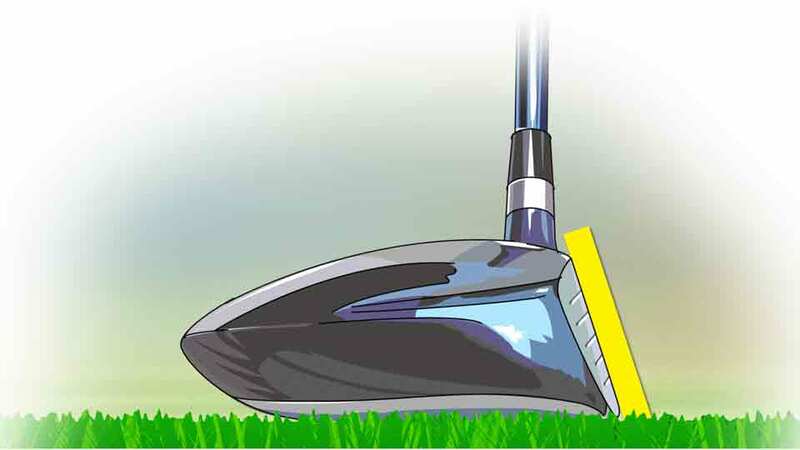 Is a lack of distance off the tee putting pressure on your game? Here's how to max out your driver distance in three easy steps. The key here is to be able to hit a hard draw, low and hot. 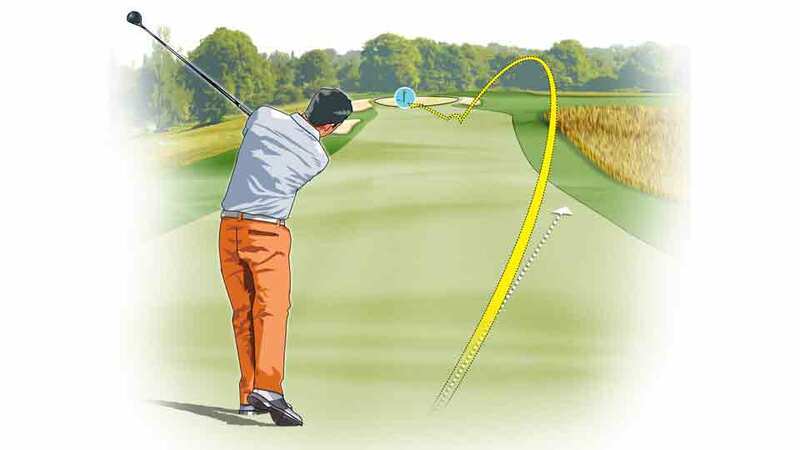 The shot won't carry to the green, but if you execute it properly, you'll impart enough roll to the ball to cover the extra ground and maybe even give yourself a putt for eagle. Go for it in two by maxing our your driver distance. Low is the desired trajectory, but the minimal amount of loft on your driver may actually work against you on this shot. Consider the extra loft of a 3-wood or even a 5-wood; not only will these clubs give you a better combination of carry and roll, but they're generally much easier to hit solidly, which is a key element of the shot. You're looking for distance on this shot, but the extra loft of a 3- or 5-wood may give you a better combination of loft and carry than you'll get from your driver. 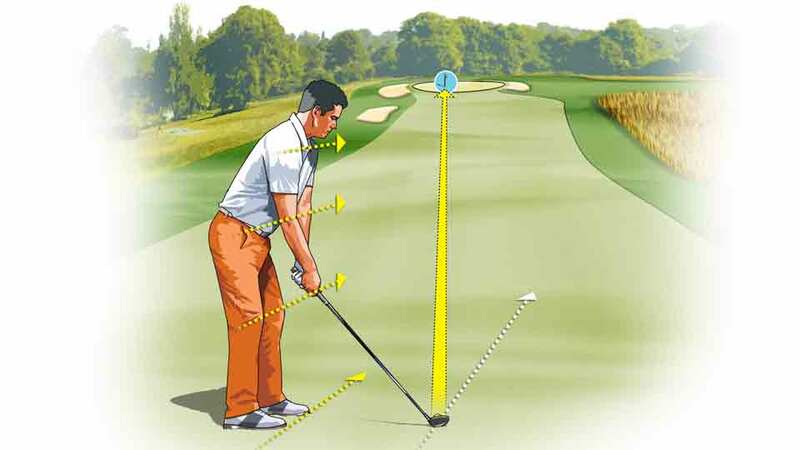 The standard formula for a draw applies here: Align your feet, knees, hips and shoulders to the line on which you want the ball to start, grip the club so the clubface points where you want the ball to finish, and swing normally. The farther right you align your body, the bigger the hook that's required to bring the ball back to the target. You'll get the most roll that way, but it's also more difficult to control, so try to find the right balance. Remember the formula for a draw: Align your body to the right of your intended target, but keep the clubface pointed at the target. Even though the goal with this shot is extra distance, you don't need to jump out of your socks to make it happen. 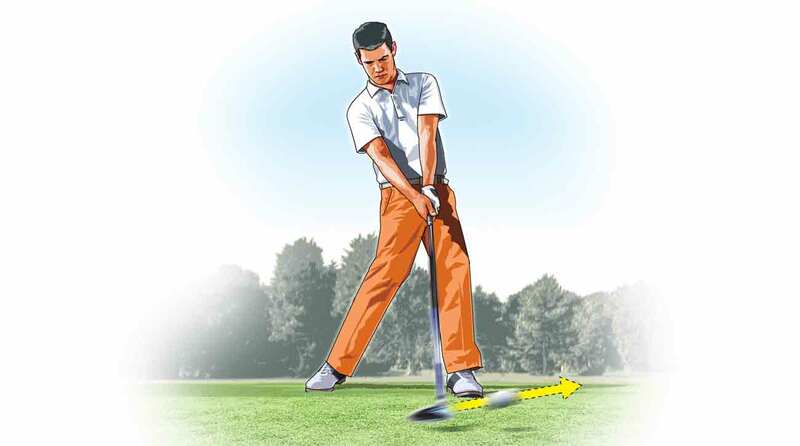 The key to an intentional draw is the release: Your forearms have to rotate the clubface from square to slightly closed through impact, which is a lot easier to do if your body is relaxed. While it may seem counterintuitive, keep your grip pressure light and your effort level at 85 to 90 percent. Solid contact and the right shot shape will do more to get your ball to the green than sheer effort. Easy does it! You want effortless power on this shot, not powerless effort. Dial your swing back to 80 percent and watch the ball fly.